In this post, I'm going to copy and paste tips that I've written over the years in order to make one, big compilation. 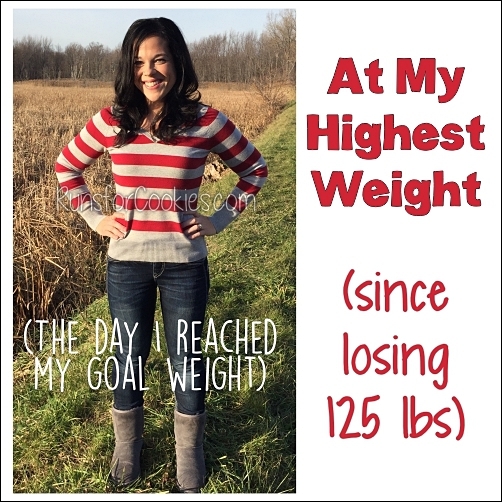 These are all things that have helped me in staying binge-free at one time or another through my weight loss and maintenance journey. Many of them no longer apply to me, as I've evolved and learned more and more about myself, but maybe one of them will strike a chord with you. #1. I ate dessert every single day. My binge food of choice is always something sweet--ice cream, cookies, cake, candy, etc. So I made it a point to eat dessert daily, and not just a "healthy" dessert like fruit or sugar-free jello with cool whip. I made it something that I really wanted, something that I would eat whether I was dieting or not. Things like brownie sundaes, full-size candy bars, large cookies, etc. I reserved about 200-300 calories per day for these things, which sounds like a lot to someone who is trying to lose weight! However, considering the alternative--bingeing almost daily on thousands of calories of sugar--200-300 calories isn't bad. When I was struggling with binge thoughts during the day, I would just remind myself that after dinner, I was going to have something fantastic. I ate a pretty healthy diet all day, but I would allow myself that daily indulgence. #2. I kept extremely busy when I was feeling a binge coming on. Leaving the house always helped, and I enjoyed going to a store and trying on clothes (not necessarily to buy them, but it was fun to see sizes drop). When I was trying on clothes, I wasn't thinking about food. I did a lot of big projects around the house--organizing my cupboards and closets, painting walls, alphabetizing DVD's, etc. Anything to keep my mind and hands really busy helped me a lot. I made a list of things to do instead of bingeing, and when I was feeling a binge coming on, I would pick something on the list and work on it. #3. I only ate foods I truly enjoyed. I don't like salad, so I didn't eat salad. I don't like yogurt, so I didn't eat yogurt. I found that I was much more satisfied with my food when I ate things I enjoyed. I found that I wanted to binge the most on the days that I ate something I didn't care for--so I learned not to do that. It's important to be satisfied mentally with food as much as physically. #4. I quit "hoarding" my Weight Watchers Points for later in the day. My thoughts used to be that "If I eat my snack now, I might not have Points left for later, so I better wait..." and then later, I'd be starving, and I would usually binge. So this time around, when I was hungry, I used my Points for a snack at that moment. I usually found that once I used up all my Points for the day, I wasn't hungry after that, regardless of the time of day. It's much easier to refrain from bingeing when you're not starving. #5. When all else failed, and I was on the verge of bingeing, I would make myself measure out and eat ONE portion of the binge food and count the calories for it. Then I would wait 10 minutes, promising myself that if I still wanted it, I could just binge. And by eating the food, my blood sugar would go up a little and make me feel better--and in turn, I refrained from bingeing. My mind was much clearer when I wasn't hungry. While I was eating the food, I was 100% positive that after 10 minutes, I'd still want to binge... but it rarely worked out that way. I still use this trick (almost daily) when I feel a binge coming on: measure out and eat one portion, then wait 10 minutes--and I rarely lose control after that. #6. I've recognized my binge triggers. (I realize this contradicts what I wrote in A Series on Binge Eating: Part 2; this tip was written three years ago, and my thoughts have changed since then. However, I'm including it just in case there are others who can relate more to this. Three years ago, this was how I felt.) There are certain foods that, when in my house, constantly beckon me. I may have good intentions when I buy them, and maybe I'll do okay with them in the house for a little bit, but eventually, I can't get them out of my mind. Those become a problem for me, and I know that I need to get them out of the house. A few of these things are: Nutella, Biscoff Spread, chocolate chips (except for the mini ones), certain cereals, graham crackers, Teddy Grahams, ice cream and frozen yogurt, marshmallow fluff, and nuts (except for almonds and walnuts). There are more, but those are the biggest triggers. I've learned that I simply cannot buy those things anymore, because I eventually WILL lose control around them. Other triggers are certain places--my parents' house, the mall, the movie theater, and drug stores are the biggest triggers And certain situations are triggers as well--being home alone at night, having a date night with Jerry, and being on vacation come to mind. Finally, there are moods that may trigger a binge--feeling anxious, stressed (particularly when my kids are fighting and loud), or worried. I don't buy my food triggers. I try to avoid going alone to the places that are triggers--if I'm with someone else, I won't binge. I try to have a plan for the situations that cause binge urges--for example, if I'm going to be home alone at night, I try to come up with a project or something I can work on. I can't avoid the moods that cause binge urges, but I've come up with other ways of dealing with those moods--which I'll get into below. #7. I've learned to recognize that point where snacking is coming close to transitioning to a binge. This usually happens when I eat a snack, and even though I'm not hungry, I'll go back for another snack. I'm still in control at that point, but after I eat the second snack, I might go back for more. Even though I'm tracking my food, when I start reasoning with myself in my head why it's okay to have yet another snack, I know that I need to stop NOW, before I throw control to the wind. So I've learned that when I keep going back for more and more, even if it's controlled, I need to find something else to do--type a blog post, go for a walk, knit or sew something, clean, whatever--before it turns into a binge. #8. I've learned that when I'm not satisfied with my food, I get binge urges. For example, if I am craving an English muffin with jelly and a bowl of cereal for lunch, I might start reasoning, "Well, you shouldn't have both of those, that's too many carbs" or whatever, and I choose to have eggs and cereal instead of the English muffin. Afterward, I will not feel satisfied at all, and I will go seeking more. Now, I think about what it is that I really want, and I eat it. Even if it's not balanced, or it's too "whatever" in the eyes of everyone else, I choose what will satisfy ME--because that will stop me from binge eating. #9. Something that helps me to be more satisfied with each meal is that I eat a variety of foods within that meal. Rather than, say, a bowl of pasta with sauce for lunch, I would choose to have soup, AND toast with peanut butter, AND grapes, AND an orange. Having that variety of tastes and textures appeals to my senses more, and makes me feel very satisfied. #10. I eat treats very frequently--but I don't have leftovers. 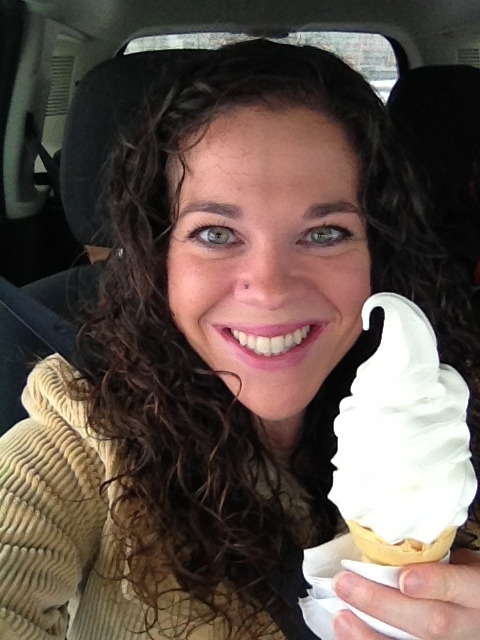 If I want ice cream, I'll go to McDonald's and get a vanilla cone and eat it on the way home. I feel totally happy with it! But if I were to buy ice cream from the grocery store and have a small portion at home, that container of ice cream would start beckoning me constantly until the whole thing was gone. I can't bake a batch of cookies at home, because I will binge on the batch--but I can go to Mrs. Fields and buy a really indulgent cookie and fit it into my plan. Once it's gone, it's gone, and I am satisfied. I've also found a few treats that I AM okay with keeping in the house, and they don't beckon me. For example, dark chocolate Dove Promises. I eat one of those every single night with a glass of red wine, and I look forward to that all day. But for some reason, they don't beckon me from the pantry, so I'm fine with having them in the house. #11. I quit worrying about what "everyone else" says is the right diet--"don't eat too many carbs", "eat tons of protein", "don't eat processed foods", "eat vegetables with every meal", "don't eat anything with corn syrup", etc, etc, etc. Sure, I would love to eat an "ideal" diet--but that's not realistic for me, and it would surely lead to a binge (as it has dozens of times in the past). I do what works for ME--I eat the healthy foods that I enjoy, and skip the ones I don't. If certain processed foods help me to stay in control of my binge eating, then I have made peace with eating them (Fiber One bars, for example, help curb a chocolate craving--they're very processed, but I don't care, because they help keep me from binge eating). I know that eating a Fiber One bar is much better than a binge of pizza, ice cream, and Oreos (a common binge for me in the past). #12. I work for my "big" indulgences. I can fit a McD's ice cream cone into my daily diet without problem. But some treats are very caloric, and I have to work for them! So on my long run days, I'll get something that I've really been craving. Lately, it's been a cookie sandwich from Mrs. Fields--it's 23 PointsPlus, which is a LOT to spend on one small item. So when I run 12 miles, I've earned it--and I eat it, savoring every bite, and I don't feel one bit guilty for it. Sometimes during the week, when I feel a binge urge, I make a mental note that I can have something really indulgent on Friday--my long run day--and it helps me to make it through the week. #13. I've learned that I used to use one little sentence to give up control and binge in the past--and that sentence was, "Just this once, and then I'll get back on track for good." I used to tell myself that ALL the time. If I had Nutella in the house, for example, I would say, "I'll just eat it all now and get it out of the house, then I'll never buy it again and I'll get back on track tomorrow." THAT IS A LIE. I know that now. I've learned that if I try to reason with myself over a food item, then I have to get rid of it, or it will inevitably lead to a binge. That happened to me recently with a jar of Nutella. I thought I could stay in control with it, and have it around. But one day, I found myself taking more and more spoonfuls (counting the PP's, and still maintaining control), and soon I thought, "I should just eat the rest now, and then it will be gone. I won't have to think about it anymore." As soon as I found myself saying those words, I realized that I was dangerously close to a binge. I allowed myself to take one more spoonful, and before I ate that spoonful, I put dish soap in the rest of the jar and threw it away. #14. I eat all of my weekly PointsPlus and all of my activity PointsPlus, which makes Weight Watchers work for ME. If I tried to eat just my target PP every day, I would have quit and binged a long time ago. Having those extra PP gives me leniency to be able to eat treats and things that make eating enjoyable for me. #15. I've built a routine, and having a routine has helped tremendously with staying binge-free. I eat breakfast at around 7:00, lunch at around 11:00, snack at 2 or 3:00, dinner at 4:00, snack at 6 or 7:00 and my wine/chocolate at 8:00. Sometimes, just knowing that I'm going to have my next meal or snack soon helps me to make it through a binge urge. I tell myself, "I just have to make it another hour--what can I do for an hour?" and I might go for a walk, or read blogs, or clean out a closet, or something like that. I've found that if I stray from my routine too much, I start getting binge urges. For example, if I'm out running errands in the morning and don't get home until 12:30, I'm STARVING for lunch by then. So it's hard not to shovel in food as soon as I get home, and the rest of the day feels "off" for me. #16. I have a go-to snack for when I'm not hungry, but I just feel like snacking. For me, this happens to be grapes. I adore grapes, and they are 0 PointsPlus. I eat them every day, at least once or twice a day. I think having this go-to snack helps me to stay on plan when I'm feeling binge-y. #17. Tea has been a lifesaver. I like to make a big mug of hot tea after breakfast and again in the afternoon. It just kind of reminds me that I've already eaten, so I know I'm not hungry, and there is no need for me to think about eating at the moment. Sipping the tea makes it last for a while, and the dessert teas that I bought from David's Tea are amazing! #18. I discovered La Croix sparkling water, and I drink that once in a while when I'm feeling like I want to eat something but I'm not hungry. It's 0 calories, and it doesn't have any sort of sweetener--it's simply just sparkling water with a little flavor to it. Also, I happen to love Vodka Tonics, so sometimes I'll sip on diet tonic water with lime. I feel like it's indulgent, but it's zero calories. #19. Here is a tip I learned from my sister. She said that when you buy a trigger food, you have to make the decision several (or even dozens) of times a day whether or not to eat it. And if you do eat it, you have to decide how much. It takes up so much head space! But, when you are grocery shopping, you only have to make the decision ONCE--whether or not to buy it. So, if you don't buy it, your decision is made and you don't have to think about it each day that it's at your house. If you do, then you're constantly having to make that decisions. Hearing it this way made a lot of sense to me! This book, despite being written by a woman who overcame bulimia, was VERY eye-opening and just as relevant to someone suffering from binge eating disorder. A great read! This book explains intuitive eating in a way that I'd never heard before, and it really helped me to understand a lot about my binge habits. 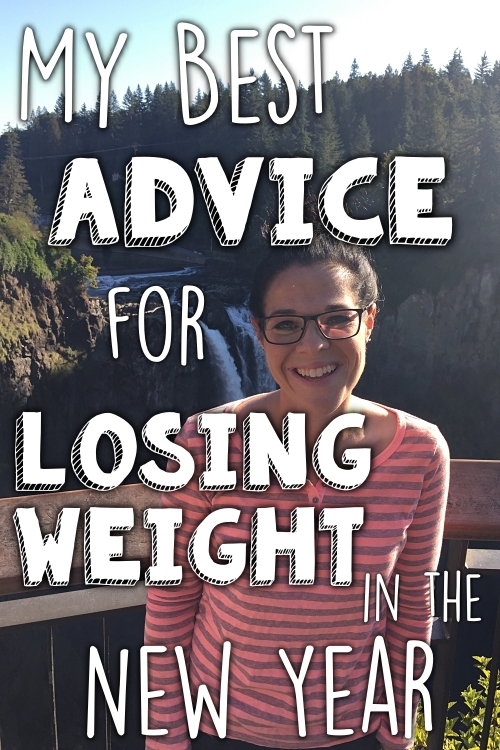 I was able to stop binge eating after reading this book, but I wasn't losing weight, so I started Weight Watchers again. However, the information I learned was invaluable, and I still use some of the methods today (like eating whatever I want). Reading this book helped me really to get in tune with my body. This concludes the (very, very long) Part 3 of the Binge Eating Series. 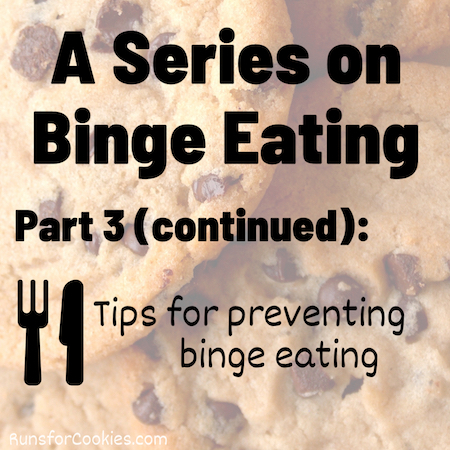 On the next post, I will write about how to move past a binge episode and get back on track, as well as my "balanced" approach to eating that has helped me to stay binge-free (something I learned from a friend over the summer). Click here to go to A Series on Binge Eating: Part 4. Thank you so much for this post! It amazes me to read and see that your thoughts are the same as mine. The "all or nothing" thought process and the justifying. To know I'm not alone in this struggle makes it so much better. I appreciate that you shared all the strategies you use to avoid bingeing. Thank you again! Thank you for being so honest and detailed... it helps. It looks like you're eating 6 times a day how did you manage to lose weight eating that often? I'm not; in the post just before this one, I explain how I am eating now (four times a day). But regardless of the number of times I eat, it really comes down to the number of calories I eat daily--they just may be spread out differently. Katie, thank you so much for showing how eating WHATEVER you want is perfectly normal and DOES allow you to lose weight if you follow your calorie suggestions. And that everyone is different and that does work. If I hear one more person vilify a particular thing, (no whole milk, no cheese, no carbs, only whole wheat), I will scream. It is not the particular food you eat for crying out loud. It is so much more. But, everyone wants the easy way out and believes that, oh if I don't eat this or that, I will get thin. Ridiculous and narrow minded thinking. So proud of you for finding what works for YOU and being open minded to try different things until you found what worked for YOU rather than just jumping on the latest fad bandwagon that sounds easiest. Keep it up girl. I always end up eating THOUSANDS of calories more than normal while there. This post is great. I had never known (admitted to myself?) that my parents' house was a trigger place. Thanks for this series! Very eye-opening! Katie, I think this post contradicts one of the other ones. You said in Part 2 that foods aren't triggering to you, yet in this one (point 6) you say that you've recognized your binge trigger foods that you can't have in your house. Yes, at the beginning of this post, I said many of these tips no longer apply to me (these tips were copied from old posts I've written). Sorry for the confusion! Part 2 is current. I just included these in case they may be helpful to someone who feels differently than I do currently. Fantastic compilation of your tips, thank you for sharing these with us Katie. Hi Katie, just wanted to say thank you for sharing your personal journey. 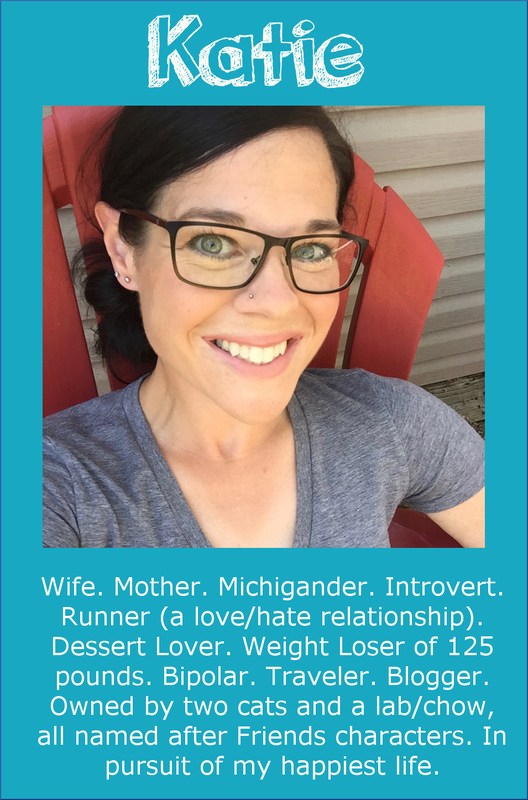 I am also working through BED and had a hunch that maybe all of the running I was doing made it impossible to beat - I was thinking of giving up running, but learned to scale back frequency and intensity - this has helped me. 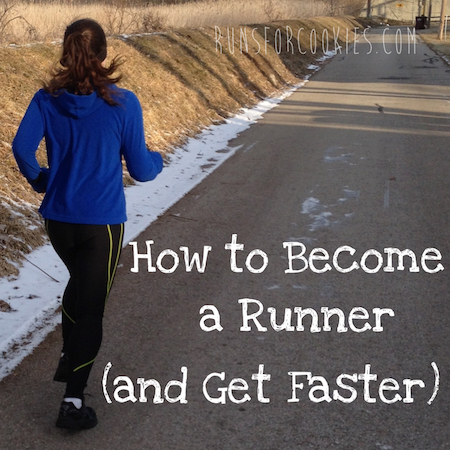 Just wanted to share for other runners out there! Hi Katie, I've read your blog for a long time wishing I could make the progress you have. 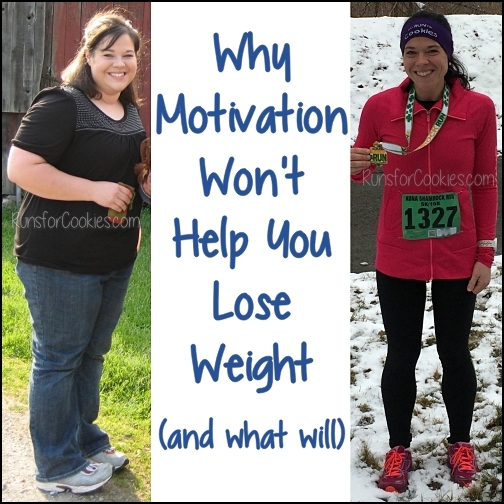 I just wanted to finally comment and say that you've inspired me to start my own weight loss journey and blog. 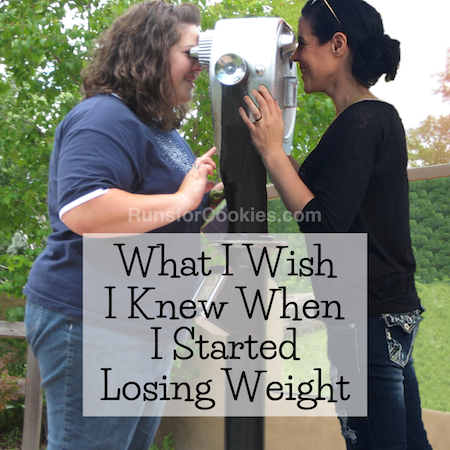 I was afraid to discuss my eating issues at first online - I also have binge eating disorder. I finally realized that the only way to work through these issues is to be open about them, and there is NO shame in admitting that binge eating disorder is a real problem that people suffer through. Thank you so much for shedding light on this. It really does help a lot of people! Your tips were really helpful to me, but my favorite one is that you encourage people to eat whatever THEY want. I'm a calorie counter and I've started to live by that philosophy as well. Everyone has an opinion on what other people choose to eat. Clean eating, low carb, and the list never, EVER ends. It's an amazing and life-changing decision to be like "You know what? I'm gonna eat whatever I want to and love it!" Whatttttt is the 203 calorie cookie recipe?? Pretty please share the name so I can find on Pinterest?? They're called Buckeye Brownie Cookies :) If you look at my pins, it'll be on there!